Taking awesome pictures is a passion – and certainly those masterpieces need to be set into a suitable scene. The LENSE Photography WordPress Theme is an outstanding theme for all photographers who want to present their pictures in an exclusive way. The LENSE Photography WordPress Theme offers a lot of useful features to present photography…. LISTABLE WordPress Theme is a user friendly directory template with a smart listing system integrated to set up nice sites with a directory. 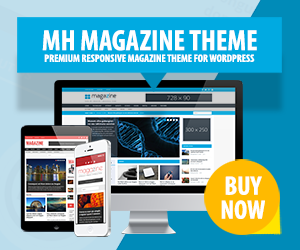 This directory WordPress theme offers great and advanced functionality. You may create all kinds of listings for restaurants, car rentals, city trips, furniture shops or whatever else you might have in mind….